On July 30, Cardano announced via the IOHK blog that the launch of the IELE VM testnet was a success. This is a step forward not only for Cardano, but for the world of blockchain. For the first time, developers will be able to test out the actual Cardano technology which will ultimately become implemented into the Cardano platform. This is the second of 2 recent testnet launches for Cardano. In May 2018, Cardano released the KEVM testnet, where the EVM (Ethereum Virtual Machine) was for the first time ever defined in the “K” framework. IELE has 2 parts: a “correct-by-construction” VM in the K framework (the KEVM), and a Solidity-to-IELE compiler. The compiler allows for programs written in the Solidity language (the programming language used by Ethereum) to be input in the KEVM machine, and in the process will allow for many errors to be identified early. IELE will serve as a “lower-level” platform allowing for the execution of smart contracts from higher level languages, namely the Solidity language. IELE will also make the writing of smart contracts both easier and safer by providing a “correct-by-design” framework, which will eliminate many errors early, removing the risk of program failure or hacker exploitation. This is a huge step forward for the Cardano project. For the first time developers are able to test out Cardano smart contracts. In addition, they will have the opportunity to provide feedback to the Cardano team, which will only serve to further strengthen the platform as a whole. Once IELE has been integrated into the Cardano mainnet, we should expect to see a big increase in interest and dapp development around the platform. The importance of early identification of smart contract bugs also cannot be stressed enough. As we all know, in blockchain, the code is open-sourced and publically available. Though this has many positives, a big downside is that it leaves the code open to prying eyes, and therefore greatly increases the chances of exploitation. With open-source software, it is only a matter of time until a security flaw is exploited. This is why the KEVM is so revolutionary for blockchain—once implemented, the compliers will be able to removed literally all of these bugs long before the smart contracts are implemented onto the blockchain. High profile security breaches continuously plague the world of blockchain. IELE is a big step towards the ultimate goal of stopping hackers altogether. The last 6 months for Cardano have arguably been the most productive and most exciting out of any project in the blockchain world. In addition to 2 testnet launches in as many months, they have released improvements to their Daedalus Wallet, have signed strategic partners such as Sirin Labs, Metaps, and the Tokyo University of Science to name a few. The platform recently held its first ICO as well, Traxia, with more sure to follow. But the most exciting is still to come for Cardano. With both the VM and IELE language complete, the Cardano team can now focus on moving to implement these technologies into their platform. 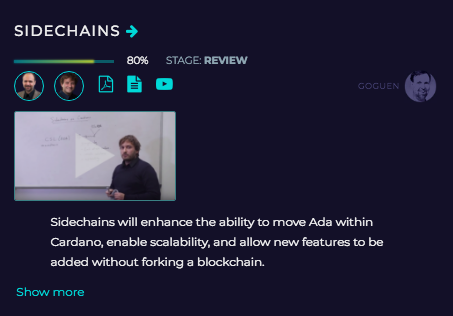 Soon, the testnet will become a sidechain linked to the Cardano mainchain. Per the Cardano roadmap, the implementation of sidechains is nearly complete. This will provide a huge boost for Cardano’s scalability, allowing for computations to be completed off Cardano’s mainnet chain. Cardano Sidechains are Nearing Completion. Cardano has also been making big moves towards decentralization and staking. In the usual Cardano manner, they have been taking a heavy academic approach to their development. Cardano has been studying game theory economics to find the best way to establish a sustainable staking incentive to allow for ample distribution in the network. Apparently they have made some great progress, as Cardano’s founder Charles Hoskinson has already tweeted that proof-of-stake is basically solved. The step towards decentralization is particularly interesting, as Coinbase has stressed the importance of any coin they list on their exchange must be sufficiently so. As such, Coinbase tweeted last month that they are considering adding 5 coins to their platform, specifically mentioning Cardano as one of them. 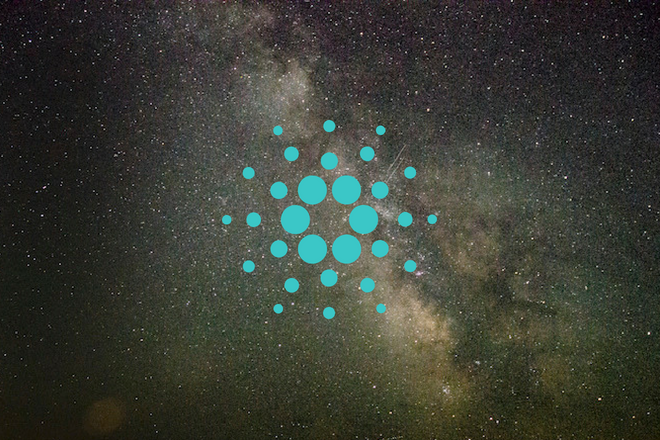 In addition, Cardano’s next major milestone in the development, Goguen, is scheduled to go live in Q4 2018. The team has been setting strict deadlines and meeting them. The rate that they’re moving is nothing short of exciting. Without a doubt Cardano is one to keep a very close eye on going forward. For more reading on Cardano, see: Turning Theory Into Reality: Progress And The Future Of Cardano.